August 2015 – Multisport coaching. Mary is driven in quiet ways. She has a mental and physical toughness that shows up in triathlons and in coaching triathletes, but when it comes to relationships that toughness shows up as kindness and love. She’s patient and thoughtful…. and also has a soft spot for puppies and babies :). A few months ago I asked some smart women to respond to a question to post on my blog. 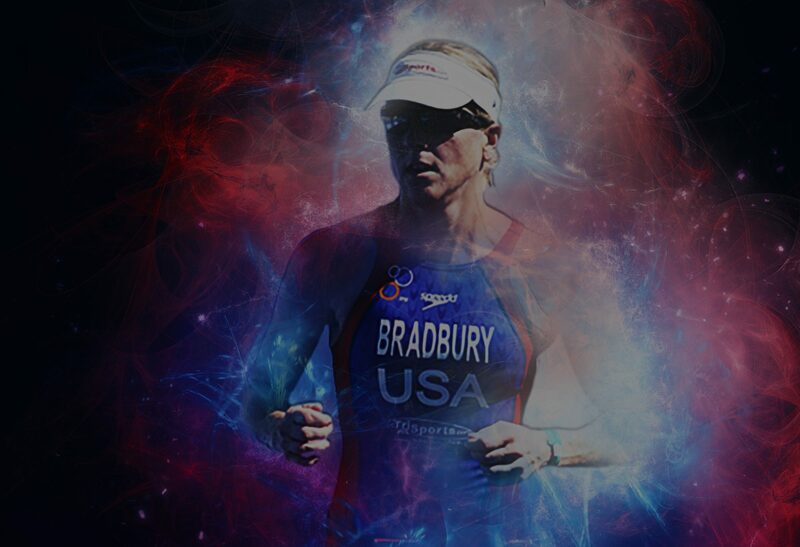 Mary wrote about her journey with injury forcing her to take time off from racing in triathlons. (Oh! And if you happen to be an athlete, at any level, and need a good coach: I STRONGLY recommend Mary. She’s good.) Enjoy reading about Mary’s journey below. They say life is a roller coaster and it’s no different with me. I was an avid triathlete for a number of years. Representing the USA for a few World Championship races (in Switzerland, Australia, New Zealand, and Florida) in Olympic and ½ Ironman distances was the icing on the cake. I love this sport, from the training, to the races, the culture, and most of all, the people. So last year when I was told to stop running due to multiple injuries in my back and knee, I thought ok, it’ll be short-term and I can still race later in the year. A long story short, it’s been almost a year and a half and I still can’t run. It’s been a tough year dealing with this loss, even though I was never a huge fan of running. My relationship with running was always a tumultuous one, but when someone says I can’t do something, I often want to do it even more. So yes, I can still swim, and I’ve been biking some, but what most don’t understand is that not competing in triathlons has created a bit of an identity crisis for me. If I’m not a triathlete, what am I? It sounds silly, I know. I realize I’m blessed with a wonderful family and friends, but unfortunately, I’ve often felt lost without my athletic endeavors. To shed a little light on this, I competed in my first swim meet when I was just 4. I loved it so much, and worked so hard, that it ended up paying for my 4 years at the University of Illinois. So, this is not my first identity crisis. It took a couple years for me to get over not being ‘Mary the swimmer’, or as some called me, ‘Fish’ after college. I thought coaching a swim team soon upon graduation would help. It did, a little. I swam some laps on occasion, but that experience was nowhere near that of swimming with a high school or collegiate team. Luckily I found my way through this…via triathlon. It was a new challenge and I still was able to stick with my passion of swimming. So here I am, trying to find my way again. Logically, yes, I am more than a competitor. I am a mom, wife, friend, and coach, but this is a lifestyle change and that is HUGE. Flipping that along with my mindset and body changes is not something which can dealt with in a short period time. It’s a loooong process full of ups and downs. In the end, it’s just life. It’s not supposed to run smoothly or as expected/planned all the time, but at 43, I never thought my body would not allow me to function/not function like this. I am too young right? Ha! Training smart was always a theme with me too. I took more time off every season than most triathletes (usually 2-3 months, completely off all disciplines)! I was very good to my body and never over-trained. Also, being a triathlete was great cross training so where did I go wrong? Well, suspicion is that possibly my pregnancy with my twins may have been the impetus as that puts much pressure on the spine. (I was on bed rest my last 8 weeks and keep in mind, S&C were a week late)! Certainly my bike accident a few years ago was the main culprit, but the newsflash is I found my body is awesome at compensating for injuries as my initial pain was in my back, the next year it was in my hip, and last year in my knee. Logically, my doctors just figured I was injuring different things from year to year so we’d try to treat those things. Last spring though, my running biomechanics coach, Janet Smith-Leet, made the suggestion that perhaps my back injury from a few years ago may be the culprit for the hip and knee pain experienced. Shortly after, a doctor confirmed her theory. (And no, I didn’t tell this guy her theory). So although the pains I had were very real, it’s because my body was compensating for the issues in my back. Wow. Bad luck, just bad luck. Nothing can be done about that so it’s just onward and upward. And although I have my occasional self-pity party, I am not unhappy with my life at all. I’m super healthy, my life is wonderful in most ways and I have, and always will, take time for the little things in life as I appreciate them greatly. I’m just a little lost with my identity, but I will continue to fight my way through lifes unending roller coasters and mazes. Thankfully I enjoy change, I just wish my body and it’s ailments weren’t the things changing as they prohibit me from enjoying some of what I love. Fortunately, family comes first so they, and my friends & jobs, keep me happy. Oddly, I have no idea how I used to train 10-14/hours per week anyway! Off to make more lemonade and set some new goals!! !